When you put hours of work and plenty of insight and research into your writings, it's important to protect them from illegal usage. Consequently, it behooves you to understand copyrights and how they operate. Basically, until you sell your works to someone else, you own exclusive rights to anything you've created. This means that no one can use your writings without your knowledge or consent; if they do, they are in violation of copyright laws. Of course, in today's global market, the Internet has brought intellectual property law rights into the forefront because it's easier than ever for someone to essentially "steal" your written materials, such as those downloaded or copied from a personal blog or website. And if you send an editor or publication an essay "on spec" (a common practice in the industry), that person could turn around and use the piece without paying you. 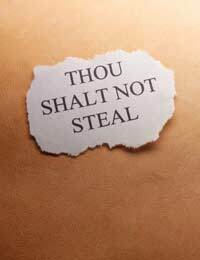 Additionally, an unscrupulous person could obtain a copy of your unpublished (or even published) materials in an attempt to profit financially or personally by selling the manuscripts as his or her own; this is commonly called plagiarism and is a crime. In the United Kingdom, it is generally accepted that any work is essentially copyrighted as soon as it leaves the creator's mind and is placed on paper, computer, or other medium (as in the case of artwork or photography.) The United States offers similar protection for writers and their original works. In neither case does the individual have to register his or her pieces with the government, though it is possible to do so in America through the U.S. Copyright Office. For as long as you hold the copyright to your written material, you are allowed to use the work in any way you see fit, such as selling or publishing it yourself. You can also write adaptations of the original without checking with anyone else for permission. Finally, you can feel free to reproduce your work and to sell the copies for personal gain. Where the whole notion of copyright becomes muddled is when two authors claim ownership of a certain work, or when one work is suspiciously like another. In this case, it might be necessary to go through legal channels in order to determine who truly owns the copyright. For this reason, many U.S. writers do register their longer or more research-intensive documents with the U.S. Copyright Office in case of litigation; not surprisingly, it's easier to prove something is "yours" if you have a government stamp of approval on it. As a professional writer, you can only protect your works so far; after all, there are con artists everywhere. However, one thing you should always do when working with an agent, editor, or publisher is settle upon some kind of written contract before sending him or her your entire works. This could be as simple as an emailed, faxed, or sent letter of agreement or as complicated as a dozen-page form that must be signed in triplicate. Without this diligence, your writings could be "lifted" and it would be difficult (and perhaps too costly) for you to take action. You can also protect yourself by doing periodic "surveillance" of your works and how they are being used. Google your name and also phrases of any manuscripts or documents for which you still have the copyright in order to see if they are being used without your consent (at least on the world wide web.) If you come across an illegal use of something you've written and still retain control of, you have every right to contact the webmaster of the site or the editor of the publication and demand that the piece be removed or that you receive remuneration. However, know that this method doesn't always work in real life. It's unfortunate but true - sometimes, you must decide whether to pursue legal actions or simply chalk it up to "experience" if someone uses your work without permission. In the end, it's essential to remember that everything you write deserves to be protected. Unfortunately, some authors are hesitant to cry "foul", but it's important to stand your ground when you've been wronged. After all, you put your "all" into your writing and deserve to benefit from being the sole owner of the copyright until you decide to give some or all of it to another organisation or individual. We cannot answer in depth questions, we are only able to give general advice. If your question is straightforward please post it on this page in the comments box. If it is more detailed, then you would need to find some more specialised advice.